The Clarke Focus II Rider lets you easily satisfy the job at hand. 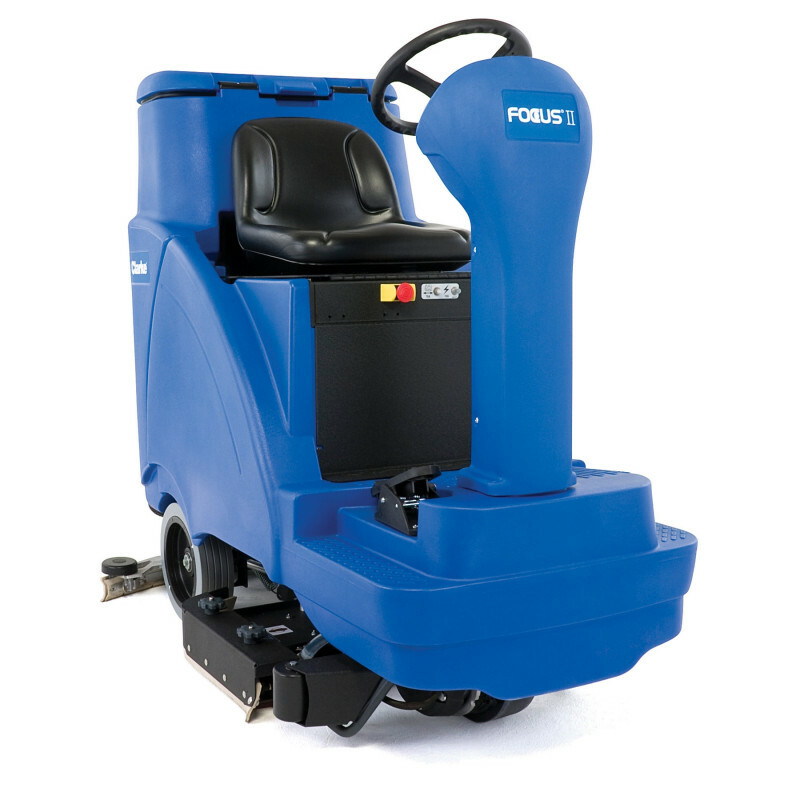 Available with a 28 or 34 inch disc deck or a 28 inch BOOST deck, the Focus II Rider can easily clean university entryways or remove floor finish in healthcare facility hallways. A large 31 gallon tank and low-solution flow rates result in 84 minutes of continuous scrubbing without a dump and refill, while increased down pressure (up to 225 pounds) allows for one pass cleaning. When your application requires diverse cleaning performance, select from three solution flow rates, fine tune solution ratios and adjust between five speed settings. Enhanced with BOOST Technology, the Focus II Rider offers a 28 inch BOOST deck, delivering high levels of cleaning with the ultimate in green benefits. Say goodbye to costly chemicals, slippery floors and undesirable odors with easy floor finish removal without the use of chemicals. BOOST uses up to 70% less solution, extends equipment pad life by 40%, provides longer battery runtimes and cuts labor time in half. 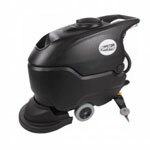 Please take a look at our full line of Clarke® rider and Clarke® walk behind auto scrubbers for other great floor cleaning options. BOOST Technology with chemical-free floor finish removal saves labor and cleaning costs while providing an environmentally-friendly solution. Wide turning radius puts the rider at the top of its class for cleaning capacity. Increased down pressure for one pass cleaning of heavy soils. Quiet operation for application flexibility and daytime cleaning. Flexible cleaning capabilities with 28 and 34 inch disc deck models and 28 inch BOOST deck model.